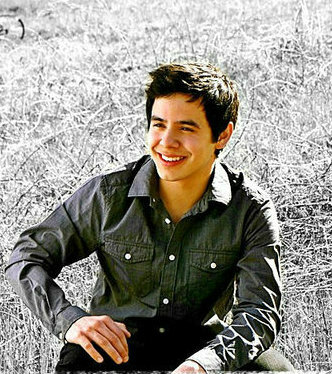 We all know that David Archuleta is “The Voice.” That’s why we all became so enamored of this wonderful artist from the beginning. 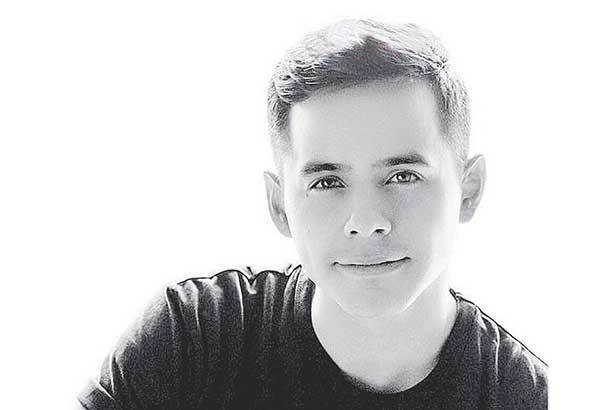 David is one of those rare individuals whose voice can reach out and touch your soul through song. I’m not sure why it happens or how he’s able to accomplish such a task. I just know it happens, at least for me. 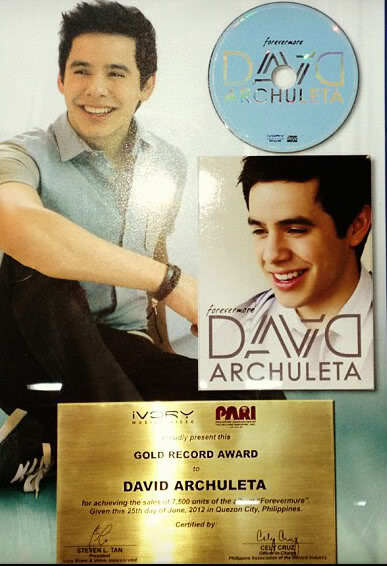 From his early days on Star Search to the present, there has never been any doubt about his abilities. We’ve all read one article after another about his technique and his natural ability to make a song his own. It doesn’t matter whether it’s an original of his own creation, one that was written for him and sung by him, or a cover of another artist’s song. Once David sings it no other will ever compare, at least not for us. It’s a never-ending riddle for me as to why that is. Why does no other artist give a song the power that David seems to imbue within its lyrics and melody? I’ve often tried to describe where I feel it comes from and to this day have not found the right words. I’ve said that he has “an echo chamber in his chest.” How else could he give such fullness to his voice? I’ve said that “he has music in his DNA” and it just oozes from every pore. I’ve thought perhaps it’s because of the shape or size of his mouth that he’s able to pronounce and sing words so beautifully. Or perhaps it’s a result of the vocal paralysis and resultant recovery that his tone has such richness. But none of these explain why his voice reaches me, touches me, in the way that it does. There’s something far more than technique, no matter how perfect, that makes David’s voice so special. In the video below, Climb Every Mountain from Salt Lake City on the MKOC Tour, David gives a performance that, when I am able to make my self pay attention to that aspect of the song, appears to be technically perfect. But what makes this performance so special is something more than that. While I’m quite sure he has practiced this song to make it as powerful as he can while performing it, there is no evidence that it is “rehearsed” during the performance. There is no spot that I feel is contrived to add power, no place that feels forced. It feels like it’s just being written as he’s singing it. It feels like his own words and his own feelings being released from his mind and heart at the very moment the lyrics are sung. I have, years ago, dabbled in song writing. As you’ve all seen, I love writing poetry. Rhyme comes naturally to my mind somehow. I once wrote a poem that created its own melody in my head as I wrote and then read it. The result? A song. It took only minutes but was something so personal and powerful to me that when I sang it out loud only moments after writing it, it made me cry. I tell you this because that’s how I feel when David sings a song like “Climb Every Mountain.” It feels like the song wasn’t written until that very moment and is something very personal and powerful to him. It feels like it’s being created from the very depths of his being and sung for the very first time, in the “here and now,” from the very first note until the last. Perhaps that’s the key. David was gifted with the amazing ability to perform a song day after day, show after show, as if it’s the very first time, as if it’s an original written straight from his heart in that moment, as if he is speaking his thoughts through song. Once he begins, the technique, which is probably as close to perfect as one can get, is no longer noticed. It’s all about feelings. And what I feel as he begins to sing is his heart pouring out onto his audience on a beautiful wave of sound and genuine emotion. He has the rare ability to connect very personally and powerfully to the music and lyrics of a song. The second part of that very rare gift is the ability to pass that on to his audience. The result is that, rather than just hearing it, the listener “experiences” the song in the exact same way David feels it. And he knows it. No wonder he’s so very careful what he sings. It may very well be why his wonderful heart is mentioned so often. It’s the tenderness, the sweetness, the innocence, and the love in his heart that comes through to us in his voice. Each time we listen, we are given one sweet moment of all that is beautiful in this world. 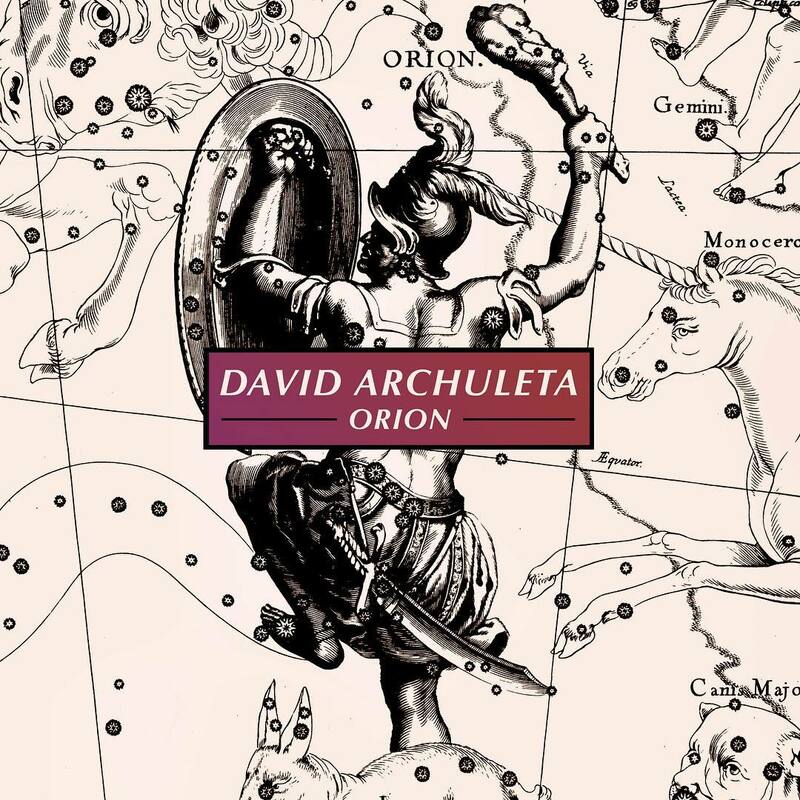 This entry was posted on Saturday, February 16, 2013 at 1:30 AM	and is filed under Art, David Archuleta. 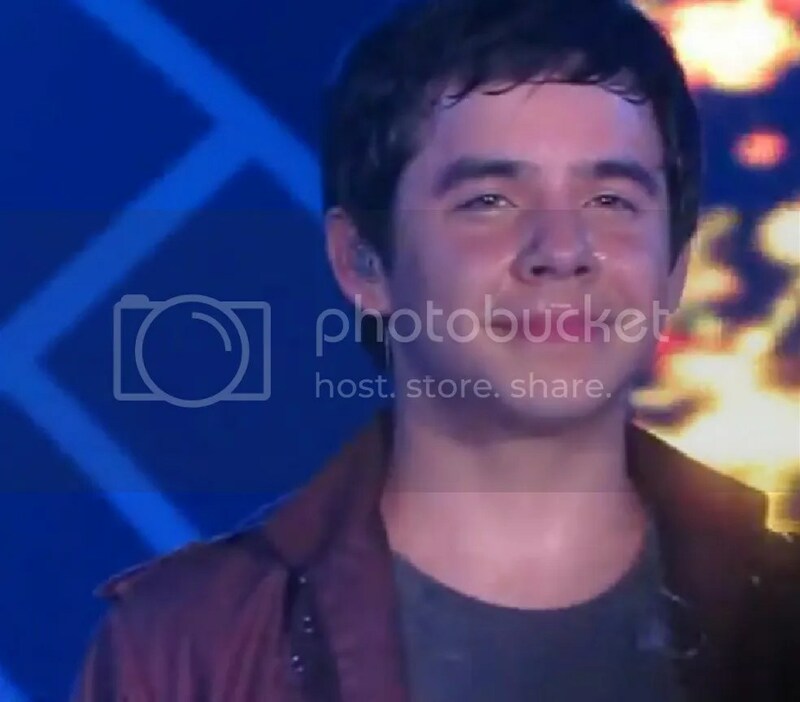 Tagged: David Archuleta, feeling the power, from the heart, the Voice. You can follow any responses to this entry through the RSS 2.0 feed. You can leave a response, or trackback from your own site. Oh MT, you have really captured the essence of what David the performer is all about! We saw it first when he sang shop around. His connection to the audience and the camera were perfection. I think that is why this is also a popular performance for fans. I came across this picture and burst out laughing because the security seems to have taken over Sky’s job as sweat dabber. 😉 When we watch a video in Unplugged that has dripping sweat, Sky has her trusty dabbing cloth to dry David’s face. MT takes over when Sky is absent. Haha! Thx for your article – you really captures what so many thousands of us experience. Some of my favorites that come to mind that he so beautifully creates in the moment: Heaven, Mary Did You Know, everything on BEGIN., and now, of course, Don’t Run Away. What he does to our hearts and souls is beyond description to anyone who does not allow themselves the unparalled experience of being lifted, blissed out and transformed by our young friends’ voice, heart and soul. “Each time we listen, we are given one sweet moment of all that is beautiful in this world” ~so true! Your thoughts are just beautiful MT…”Angels” also speaks to me that way ~I’ve always said that one of the things that makes David so special..so set apart…is his ability to take us along with him in a song. And LOL about the “chat” comments. 😉 Chat is so much fun! I love the way you put that. So true! There’s just something about David’s music that makes me ‘feel” so many different things, depending on what he sings and how he sings it. For me, it’s what separates him from the rest. 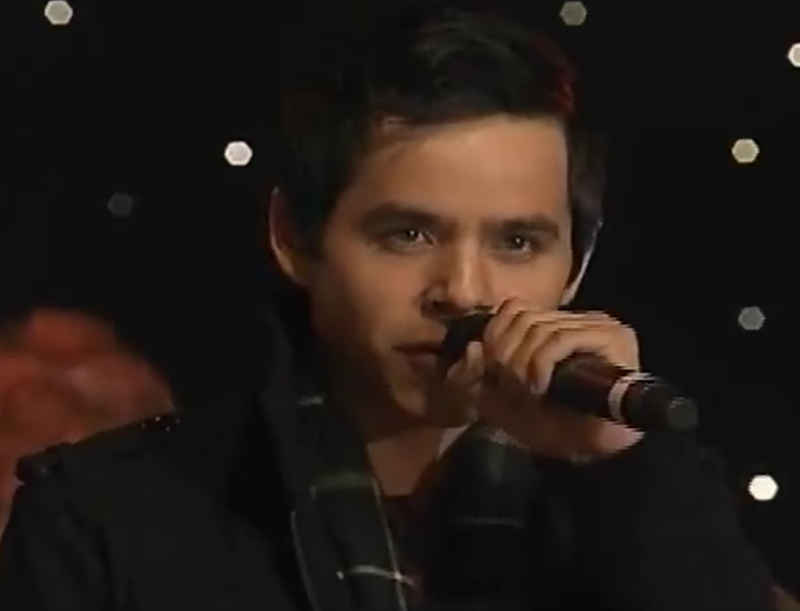 Another song that just slays me is a simple one he sang in the Beaver Creek VIP. I’m trying to be like Jesus. 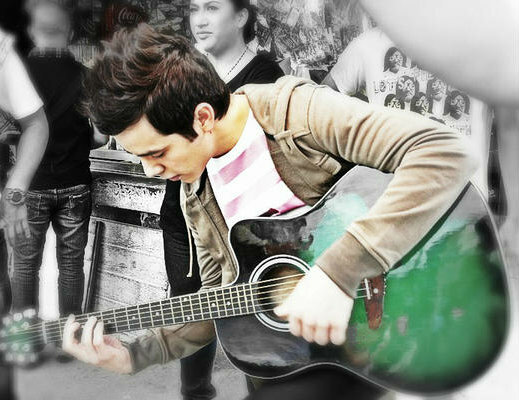 His sincerity comes through loud and clear even though he sings it so tenderly. It’s one that I never thought would come to mean so much to me. I’ve listened to a lot lately because it makes me feel so peaceful and calms me when I’m stressed out. MT, Amen to your whole post! ♥ You said it all so perfectly. 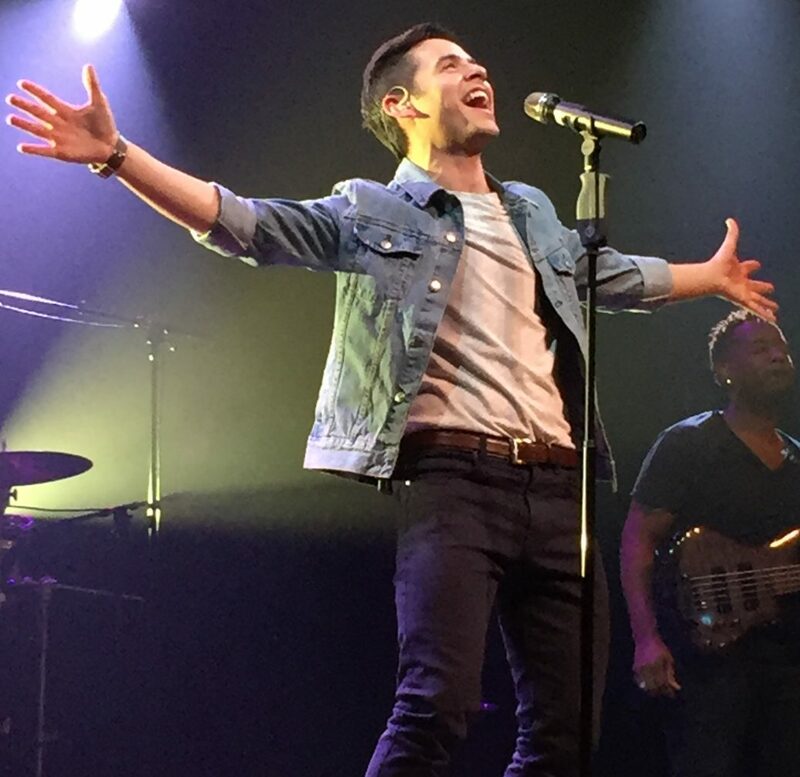 We’ve always said that we have run out of adjectives trying to describe David and his singing and how it affects us! Your post kind of put it all together and made it a little more understandable! 🙂 I said “a little more” because he is so unique I don’t know if we will ever totally “understand” him and his music and what it does to us! 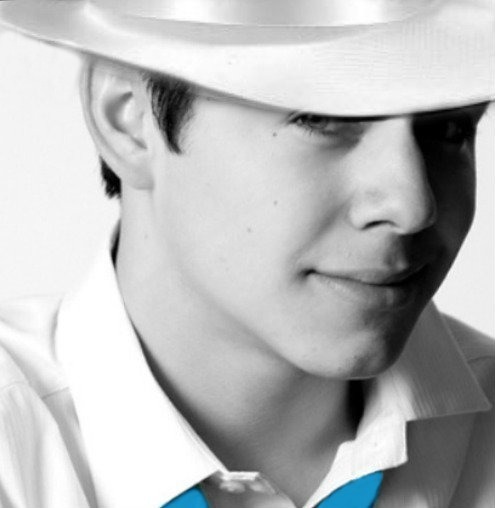 He is just one of a kind, and like Neil Diamond said, “kind of a prodigy”! And that he is, as we have found out. Even though that is what makes us stay with him and enjoy the ride that he is taking us on! 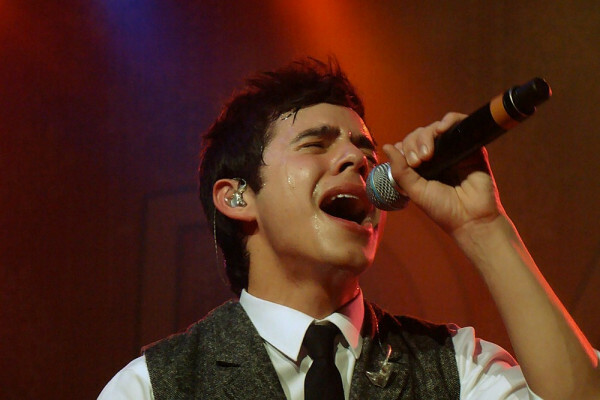 It is hard for me to pick out just one song because I love every song that he sings! If I’ve heard it 100 times, it’s like the first time, sometimes taking my breath away because I can’t believe how good he is and how it reaches in to my heart and soul! Every time!!!!! I am partial to “Angels” and “When You Say You Love Me”! I also love the whole album of “Begin” and “Forevermore”. Is it because he is getting better with age, that’s what I like to think. So Lord help us when he comes back….he is going to knock our socks off!!! 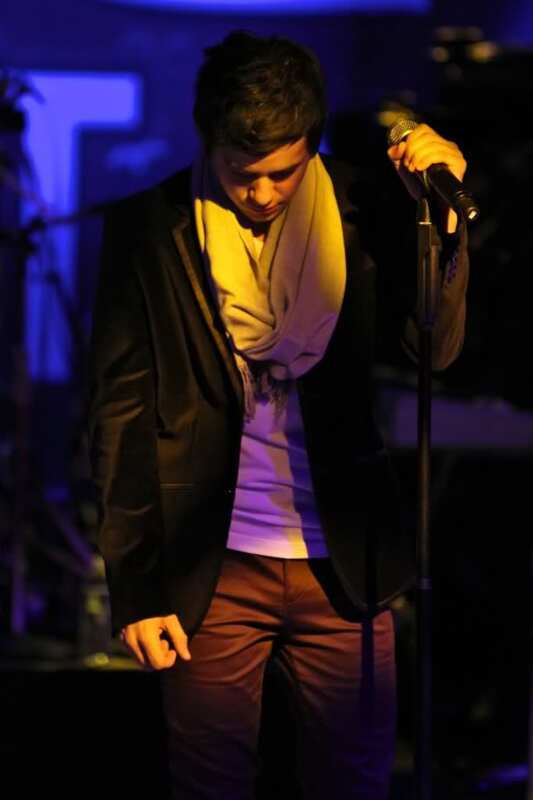 You have surpassed yourself with this look inside the why of what his voice and music does to us. His genius lies not just with his ability to sing so beautifully, but with the power of his connection to the listener. I was driving one day and Contigo en la Distancia came on. It was so powerful, and it came to me that I was not just hearing the song with my ears but physically feeling it, like it was part of the blood that coursed through my veins. It was an amazing feeling and has been repeated several times since. So I guess for me, that song is my example of what his art of connecting to another person with his voice can do. You say, “He has the rare ability to connect very personally and powerfully to the music and lyrics of a song. The second part of that very rare gift is the ability to pass that on to his audience. The result is that, rather than just hearing it, the listener “experiences” the song in the exact same way David feels it. And he knows it. No wonder he’s so very careful what he sings.” And that’s why I can not listen to him sing Bubbly. It’s like, oh no, I’m not going there with you, you young whippersnapper. haha. I could listen to anyone else sing it and it would be fine, but David makes you feel everything HE feels and sings about. It’s just too raw and personal and makes me uncomfortable like I’m intruding on something too private. Anyway, here is my example. Contigo en la Distancia. All I can say about that Spanish album is…be afraid…be very afraid. MT, what an amazing job you’ve done in explaining the inside workings of David’s ability to connect with us. Thank you so much! I’m so intrigued I need to go back and go thru it again. It’s just awesome! I won’t be able to be in chat tonight…. I’m on the laptop with no FlashPlayer, and it’s such an old one that I can’t install it. 😦 It’s going to be a long 2 weeks to get my PC back!! MT,beautiful post.I love your thoughts♥definitely not easy to describe an ‘experience’ like David, and what that voice of his is capable of doing to those that hear it. 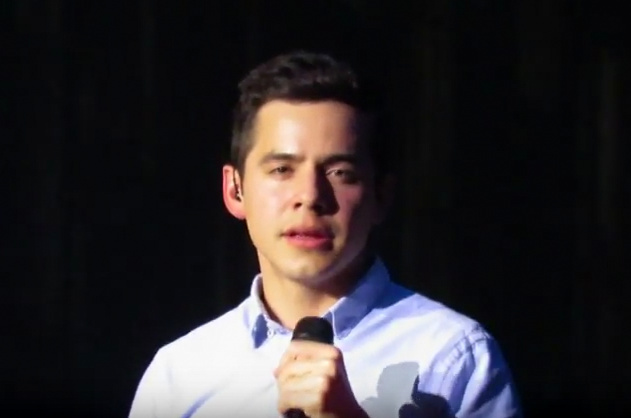 The first time I saw the video of David singing “I’m trying to be like Jesus” I had tears streaming down my face.Still does that to me.He sings that song,with beautiful childlike innocence and love. And on his MKOC tour,it was during Silent Night when my eyes welled up with tears,that silently fell with every beautiful note that filled the room and penetrated my psyche.It was an incredible moment, that will stay with me forever. Thanks MT for the topic and your descriptions of David’s singing and affect on you. Five years now and I continue to be moved by David’s singing and persona. You inspired me to get my COS out and read Joyful Noise that David wrote of how he has been affected and inspired. He talks about the exchange with the audience and of this “gift”. He says “I love how music makes me feel and how it makes others feel. 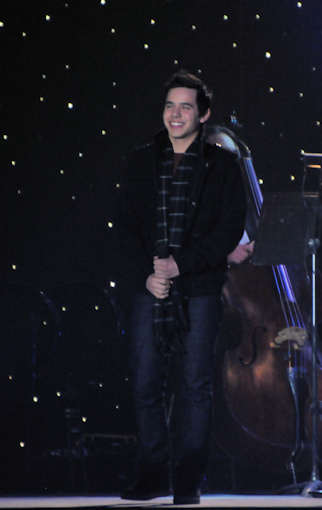 I was fortunate to be there at Beaver Creek when David sang “I’m Trying to be Like Jesus. I love that performance because it is “Childlike” and so sincere. Love the songs you and others have chosen. Like Jan, there are so many. 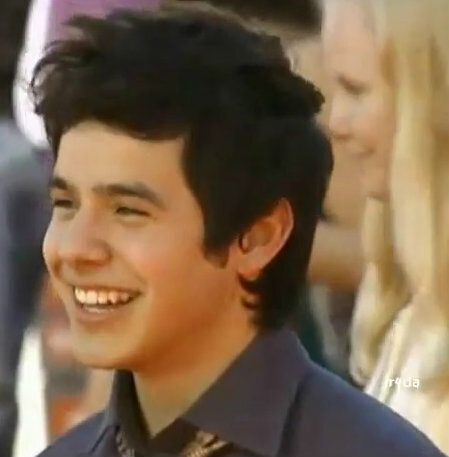 David’s Oh Holy Night after his Announcement is another. His “Waiting on the World to Change in Beaver Creek was like a Spiritual experience knowing this was the first song I heard him sing and now he was singing it at his Last US concert prior to his Mission. Of course we’ve gotten so much after that but we didn’t know it at the time. I suppose I could go on and on……Works for Me in Reno etc etc etc. You tackled a subject we are constantly trying to figure out and done a great job of putting “feeling” into words. 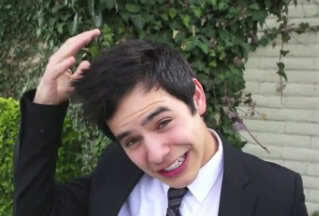 David is a feeling, a real feeling in my everyday life. His voice has this cause and effect to the core of my being that still blows me away. How does he do it? I love your description of it here. I’ve always liked Dream Sky High but after this performance I love it. He put his heart, soul and every emotion into it. These came in and tore through me bringing me to tears. There are so many more like Wait, Crazy, Think Of Me, When You Believe, Everybody Wants To The Rule The World, the list goes on and on. Kudos to you! We work at this subject constantly, even in chat to discover what it is about David’s voice that is so darn appealing, that we are mesmerized on a daily basis and keep coming back for more, like starving puppies. 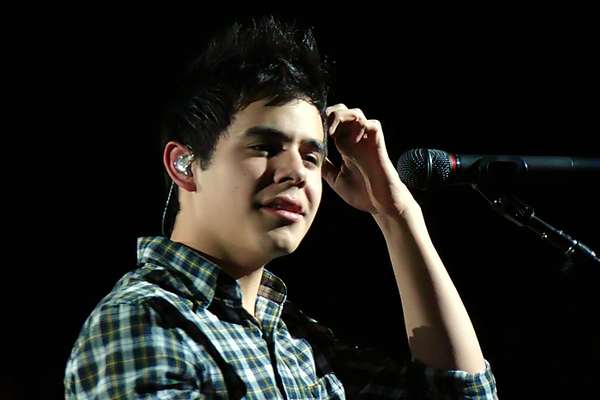 For other singers, you hear them sing and some even sound good but with David, you don’t just hear him; you feel him. His voice is heavenly. His phrasing is impeccable. But you’re right; it’s more than technique. You feel his emotions so strongly because he is very effective at what he does. That’s his gift. 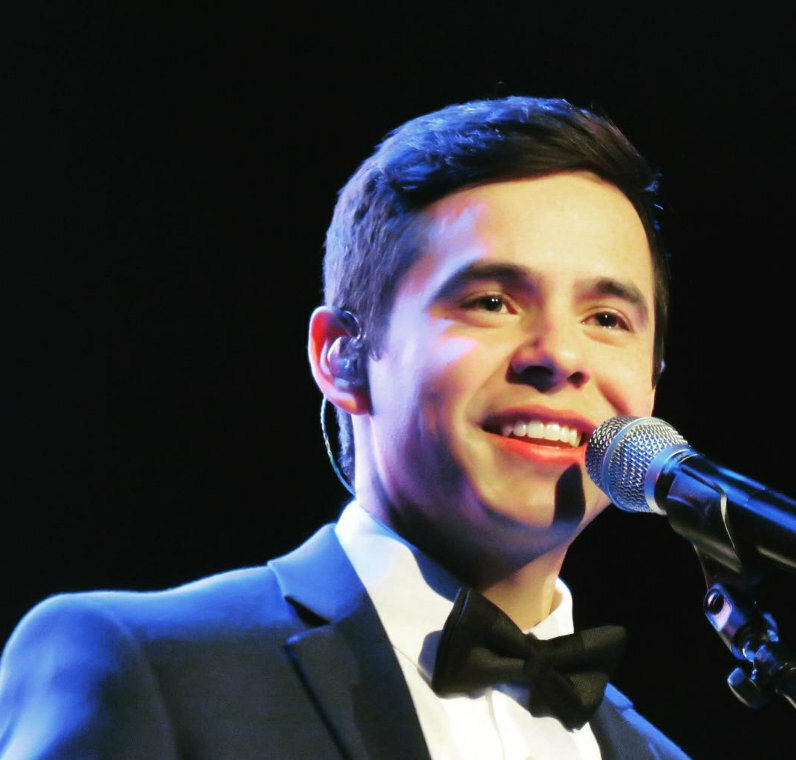 When David sang “Angels”, at the Idol Tour, I first noticed the strong connection to the audience that he’s known for. And it just keeps getting stronger. Three years later, “Heaven” in Hanoi, Vietnam is just another example. MT – You captured all of our “how does he get to us so much?” questions – and the answers. Amen to that! Oh, he really does project the experience – you feel it, it resonates inside your heart, and you are captured. Sigh. So sorry I missed chat We lost power about 7:45 PM last night and didn’t get it back until about 2:15 AM. Grrr. MT your article touched my heart. I’m on the road chasing me some sunshine for a few days and have no computer access. Don’t feel competent about sharing my thoughts and feelings with my little iPhone keyboard but wanted to add Oh Holy Night to the list. Bebe I think he is feeling Heaven! Great screamcaps, Abs! I remember doing some of those when I first saw that video. 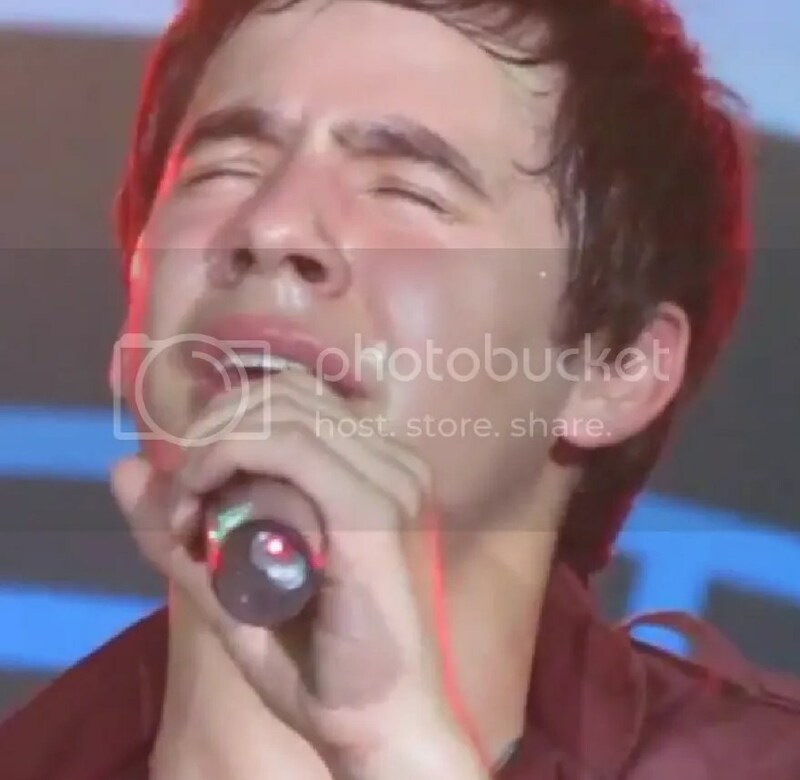 He really put it all out there in that performance. So vulnerable. Gosh I miss him so! Wow those screamcaps! He needs more than “dabbing” with all that sweat! I was wanting to wipe my computer! haha Loved his sweatheart on his tee! Can’t wait, either! haha My socks are ready! I take it you were on sweat duty in chat? LOL I just know you did a good job. 😉 And thanks for the sweet comment about my songwriting experience. ♥ It was a very special moment. I see there are a few of us that have been moved by “I’m Trying To Be Like Jesus” (Oh, to have been there in person. 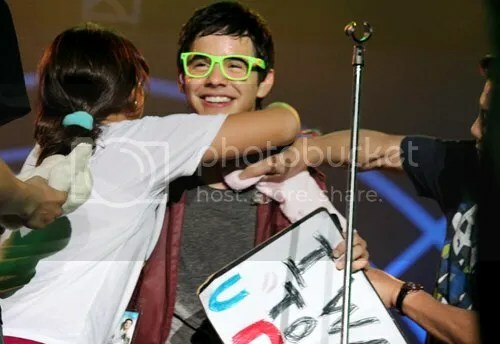 You lucky lady!) And that “Works For Me,” Reno, well, the beginning of that was such a surprise and quickly became a favorite of mine, one that I replayed many times. Yes, he is a never ending riddle isn’t he? There are times (like when I write LOL) that he drives me to try to figure out the why of it. I keep thinking I am finding answers, and maybe I am, but there is always more to it. I wonder if we’ll ever have it completely figured out? “you feel it, it resonates inside your heart, and you are captured.” Absolutely captured! He is definitely “feeling” that heaven. Thanks for posting the vid and those lovely screamcaps! You can see from the ones you chose how into that song he was that night. I agree, it was definitely a standout performance of that song. I hope you find plenty of sunshine! I was on a little road trip myself yesterday and today. Unfortunately my roadies didn’t appreciate my David music for nearly long enough. 😦 I had to put on the radio. Yuck! It’s intersting seeing which songs are your stand out performances. Thanks to all of you for sharing the songs that move you the most. Mt, I loved your article. I wrote out a comment last night and accidentally deleted it because I was multitasking (a little David project I’m working on) and anyway, I just wanted to let you know that I liked this, and of course I can relate. More than technique – so much feeling. This video proves it. So much talking going on around him, people crowded around front to back, and he belted out Crazy like he was alone and unbothered. For some reason, this performance sticks with me. Surprising, because it really has too much background talking. But his voice. The whole thing is a tribute to the cry in his voice. had to bring out towel and a mop for those screamcaps. holy moly! It never seems to throw him off in in the slightest. It’s amazing how he can focus with so much going on around him. 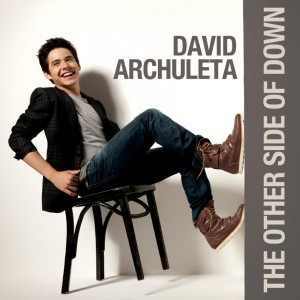 Do we get to see your “little David project”? I hope so! Oh man, we need that track list. Also, it’s way too quiet around here. Anyyyway – what are you guys up to? Waiting for a tracklist hmmm? 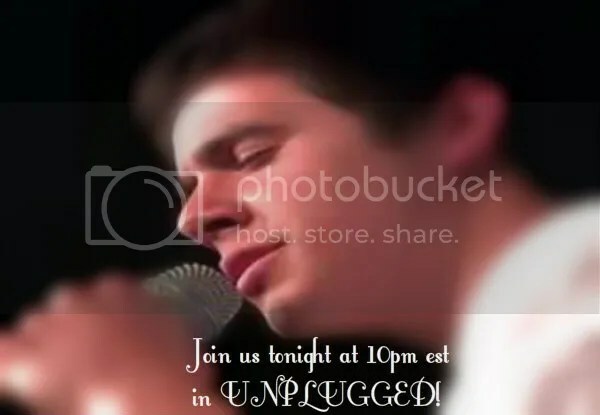 I am in Unplugged watching AI7 videos. All are welcome to join me. I’m having trouble with the darker color on the site. I can barely read the black text on the dark blue in the sidebars for the tweets and things. Is anyone else having that problem or is it only me? Don’t Run Away premiered on Flyfm Malaysia at #2 and has been played on radio all over Asia. I don’t understand the radio here in the US, but that’s nothing new lol Bowersox was added to All Access without much reaction anywhere to her song yet David has and nothing. Well I’m takingit in stride but won’t stop requesting and voting letting them know David’s fans are still here if nothing else. Rainbow is still charting on Asian radio! iTunes tweeted Don’t Run Away!!! Everybody Hurts still doing good! Click on your favorite singer to create your Top 5, then share your list with friends! Do you notice how in the top pic he looks like he’s got shimmery gold eye shadow on? Is it fair to come by that naturally, when I have to pay out the wazoo for cosmetics? @!%!**#~@#!! Haha, if I’m not careful, I might just quote the entire article! There were just so many thoughts that rang true to me…thanks, MT. I love all the songs that have been chosen on this thread to show that ability…and there are SO many. It’s almost like he’s incapable of singing without transforming every song into an experience of emotional sharing between himself and the listener. Perhaps that is one of the reasons we are so drawn to a complete stranger–because he doesn’t feel like a stranger. Through his music, we are treated like close friends. Wow…this voice just needs to be heard (and felt) in the world today. Thanks to those who came to chat last night. It’s so much nicer to have friends to watch videos with. We learned some interesting facts about those in attendance. Some like dry cereal, no milk. David does actually glow, regardless of the stage lighting. The colors on the site make some text hard to read. I took the last one to heart. This morning ( with the blessing of the other admins) I changed the background and text colors to reflect more contrast. Oh ya, I even broke out an old favorite MGR done in slow motion. MT, loved every single word of your article. As Kaycee said, if I requoted my favorite parts I would be reposting the entire thing! He grabbed my heart the first time I heard him, and nothing has changed since. Alot of life going on these days, peeking in when I can. You guys take care. 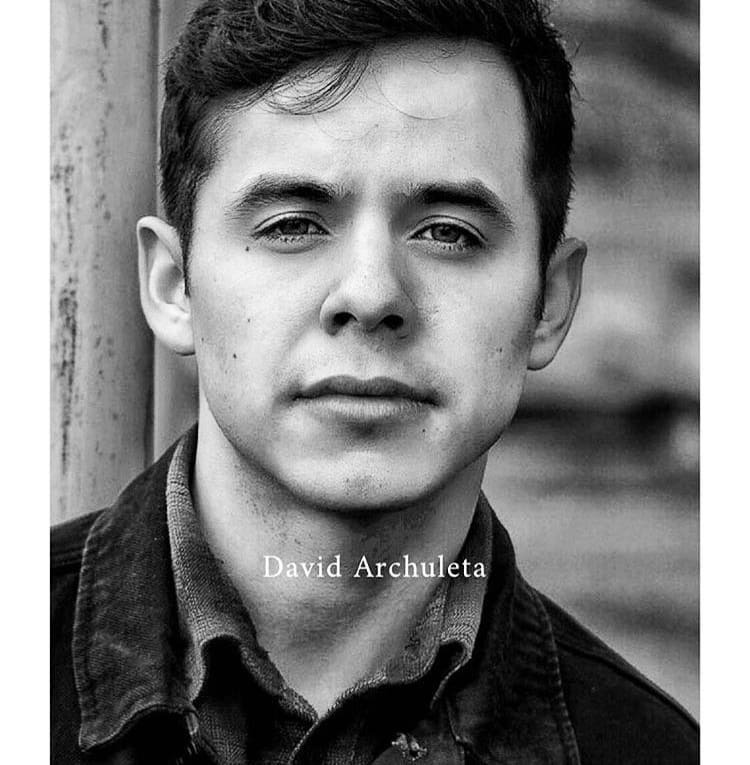 Your article is so well written and oh so true, it’s how I feel about him, David does have something extra that set him apart from the best and the rest not to mention his endearing personalities <3, thank you for this beautiful post you wrote what I felt all along but cannot put in words !!! Oh boy!!! do I miss him !! MT you have such a wonderful way with words (oops alliteration! lol). 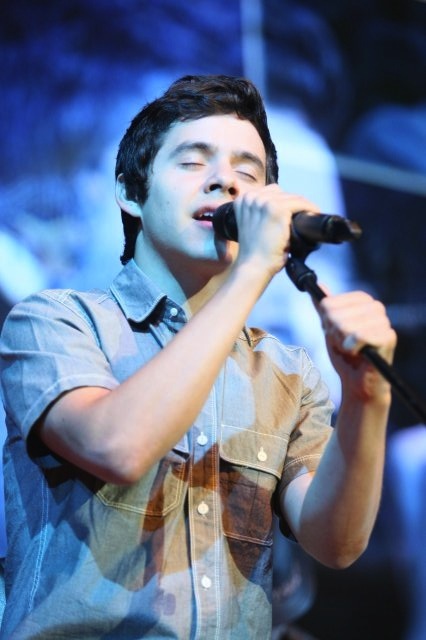 Your article has made me understand better why I am so mesmerized by his singing. Climb Every Mountain is my favourite from the MKOC tour. I remember searching for the different versions from each tour stop and watching the videos non-stop – I was that obsessed! #29 Angelica yes the “gold eye shadow”!!!!! OMHeck, the whole pic! #32 Mr Confidence!! Long time no see! Wish I was at chat with you guys. #20 Betsy I love it when he sings Crazy. The cry in his voice gives me chills – every time. MT, this is just a wonderful post! You have put into beautiful words so many of my “half formed” thoughts. I especially appreciated your thoughts about hearing David sing a song as if it is the first time it has ever been sung; that it is just springing from his mind and soul anew each time he sings it. I agree with all the songs everyone has mentioned. I have always felt “Climb Every Mountain” was such an example of David working soo hard to make sure we were “listening” to the message of the lyrics. For me no song from David can be on this list until I have seen as well as heard him sing it. I Cannot Wait to hear him sing Broken live, though I know I will be a big crying mess. Same for Don’t Give Up. I would include his asian tour live performances of Everything and More, especially with the flying pink shirt. 🙂 He absolutely transports me into the clouds with such a sense of joy and freedom. A reviewer asking for a Don’t Run Away review. Leave a review in the comments!!!! SB, He likes it as most do. I’m looking forward to the tracklist. Found this on MJ’s, Kelly’s response to Clive Davis memoir. Not David related directly but it gives an insight into what David must have been enduring during TOSOD project. 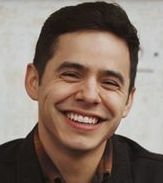 And when I hear the songs on TOSOD, Who I Am, Complain, Stomping The Roses, Good Place, Look Around, I hear David Archuleta the person loud and clear. So I just heard Clive Davis is releasing a memoir and spreading false information about me and my music. I refuse to be bullied and I just have to clear up his memory lapses and misinformation for myself and for my fans. It feels like a violation. Growing up is awesome because you learn you don’t have to cower to anyone – even Clive Davis. My goodness! That article on MJ’s blog is something else. To think that David had to, possibly, put up with that kind of stuff is an awful thought! Yay for KC standing up to the lies! Eeek! After a few days away the gorgeousness of this place can knock me over. Sky’s job at #13 is way to much for her to handle alone. Let me help you. 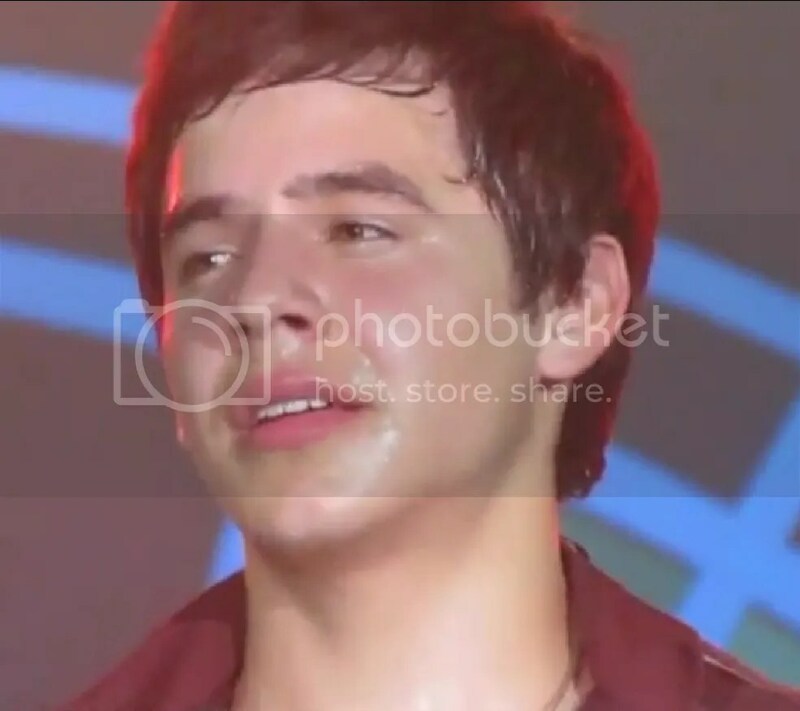 Don’t know how anyone that sweaty can look so good. And Mr. Confidence is still confident. Sorry I missed Sat. and Mon. chatting. You guys were really living it up while I was gone. Love the thoughts in this thread. As Kaycee said, we are drawn to a complete stranger and it just seems we are not strangers at all. Even other fans are not strangers. 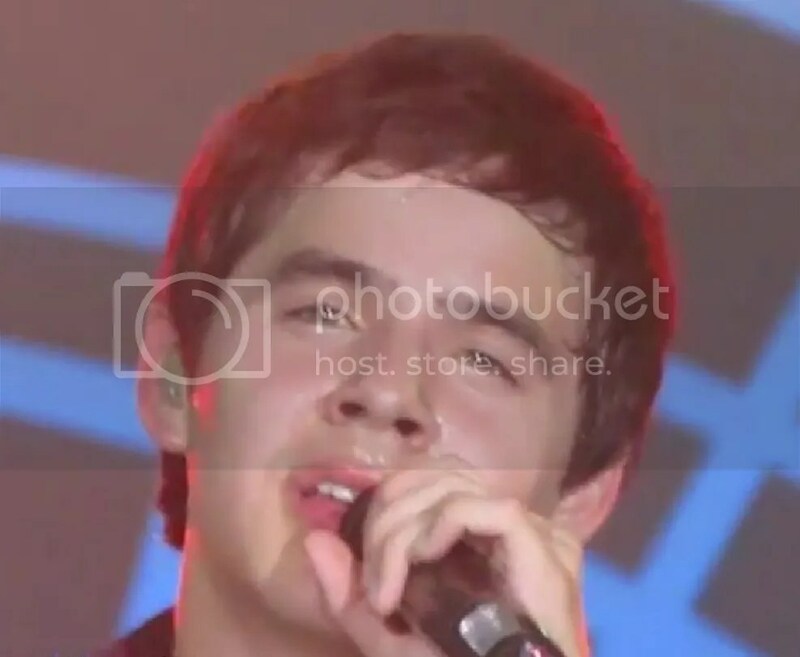 I remember David saying he had never had a “celebrity crush” because how can you like someone you don’t even know. When I think of crushes on other celebrities his statement makes complete sense. But when thinking of David the rule simply does not apply. Got home just in time for my birthday and am hoping to spend it at NA tonight. Join us tonight for Nandito Ako Chat! Hope it’s a great one! Dayzee…hope you’re having a dazzling day! Djafan, it is good to see what people are saying such as the reviewer, on the site, because for certain most of us don’t have access to all the celebrity news to know. My researching is not that adequate. Thanks for bringing the news! Because it’s your birthday and because the citrus colors of orange, yellow and green are David’s favorites and because Spring is about to be sprung! I’m glad you were born! I read the rebuttal that Kelly posted on a site bearing her name. The two sides of the story are very different. If I had to choose a side I’d go with the person who has much to lose by stepping up to a “boss” rather then someone who needs to add some spice to sell a book. What better way than to attack a popular star to elicit a response and get your book noticed by their demographic of fans. Happy One Year Anniversary, Nandito Ako! Thanks to Bebe, Jans, MT, Abrra, Kaycee, Angelica, Poco for the birthday wishes and cards. Tawna, you and your herd of deer are so clever. You made me laugh. Amazingly busy. But wanted to fly-by and wave to all you lovely peeps: Hola and Chow!!! Still waiting on the tracklist!!! Can’t believe they haven’t at least put up some snippets! 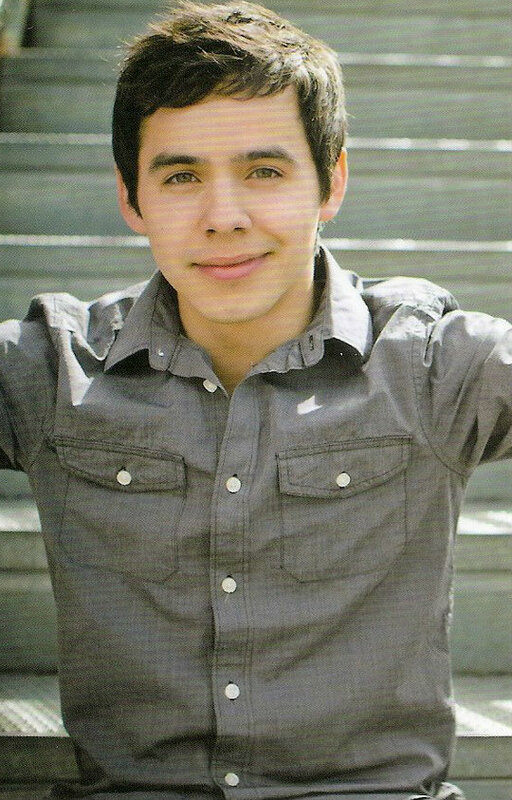 I see all your tweets David Archuleta fans… And I agree #DontRunAway needs to be played on the radio. 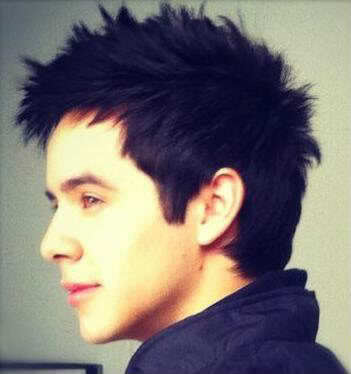 I love you @DavidArchie fans! They spinned it again!!!!! Go thank them!! !